Island Conservation, the Greensboro Science Center, and partners work together to restore Mona Island, Puerto Rico and remove the invasive Australian Pine tree. Invasive species can impact native island wildlife in many different ways. One of the primary threats is predation by invasive species, but another is habitat alteration. On Mona Island, Puerto Rico, conservationists are seeing how these two threats are impacting the Endangered Mona Island Iguana. Mona Island is located between Puerto Rico and La Hispaniola and is home to 10 endemic vertebrate species (found nowhere else on Earth). Although the island has no permanent settlements, it has been impacted by humans and the introduction of invasive species. Today, the island has at least seven invasive species present including mice, rats, feral cats, goats, pigs, and the Australian pine tree. These species have significantly decimated the nesting ground for the Mona Iguana, and other native species, by altering the nesting habitat and predating on eggs and juveniles. 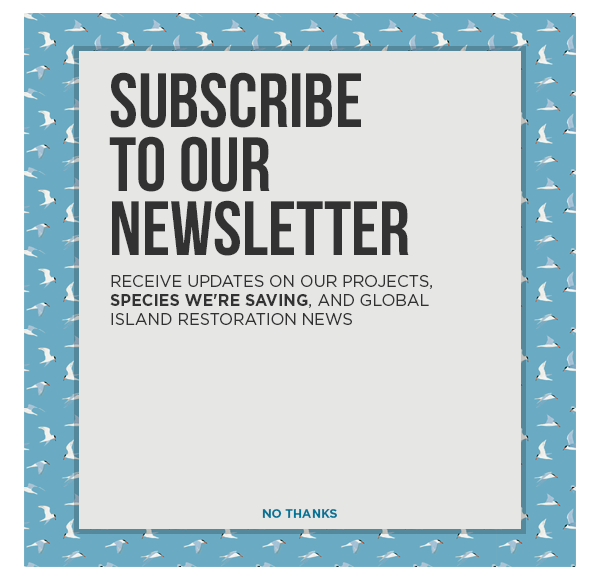 Island Conservation, the Greensboro Science Center, the Puerto Rico Department of Natural and Environmental Resources, the Center for Conservation and Ecological Restoration, Vida Marina and the U.S. Fish and Wildlife Service have partnered up to restore the island’s natural ecosystem and help save the Endangered Mona Island Iguana. To ensure the Mona Iguana has a fighting chance, Island Conservation and our partners have been working to remove these invasive species, including the Australian pine tree. Although a tree might not initially appear as a threat, after the introduction of the pines in the 1930s, they rapidly populated the island and have drastically altered the native habitat. The fallen pine needles create a thick mat over the island which native vegetation and species cannot easily breakthrough. The pines also release compounds that change the chemistry of the soil, preventing the growth of native vegetation, and can cause beach erosion in coastal habitats. Endangered Mona Iguanas, are unable to dig through the layer of pine needles to lay their eggs in the sand. This reduction in nesting habitat compounded with the threat of predation by invasive predators leaves the species at risk of Extinction. Luckily, Island Conservation, the Greensboro Science Center and our other partners are working together to remedy the situation in hopes of increasing the iguana population. Scientists and volunteers continue to work to cut down the pine trees and remove all the pine needles. This is an ongoing process but we are hopeful that it is already beginning to work. The Greensboro Science Center Research team and Island Conservation staff plan to set up field cameras to monitor the Mona Iguanas and see if this conservation intervention had the outcome we hope for–more iguanas nesting. There is still more work to be done in order to protect these native species, but removing the Australian Pine is one huge step towards species recovery. The infographic below was created by the Greensboro Science Center.